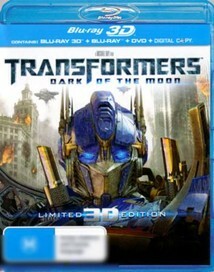 Synopsis: Shia LaBeouf returns as Sam Witwicky in Transformers: Dark of the Moon. When a mysterious event from Earth's past erupts into the present day it threatens to bring a war to Earth so big that the Transformers alone will not be able to save us. Pick up and payment must be within 3 days. If couriering i will bubble wrap and put in a small box.